Have you ever heard horror stories when it comes to moving? We have, lots of them. 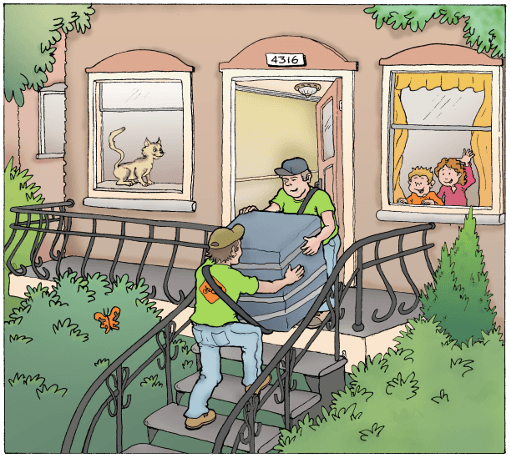 Our clients have shared their stories about movers being slow, neglectful, vulgar, etc. Some have put their belongings in the hands of a company advertising attractive pricing, and ended up with extra costs and hundreds of dollars in damages of all sorts, without being compensated. Others have hired one of the more expensive companies but experienced mediocre service. It is beyond comprehension, but it seems these scenarios are a standard in the industry. Fortunately there are exceptions. Day after day, since 2008, we are showing that moving doesn’t have to mean breaking your belongings or your budget! Average rating of 4.9 stars based on more than 400 reviews on Google and Facebook. I wanted to write sooner but have been a little busy… I just wanted to tell you how satisfied I’ve been with the service you provided. 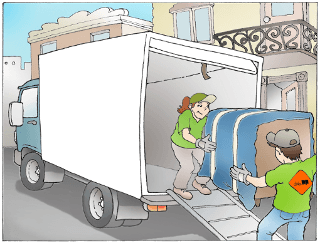 Your movers are quick, efficient, professional, friendly, etc. I am delighted with the quality of the work done. I wish to point out how professional your movers are. They are on time, efficient and polite. They came in with all the equipment necessary to make this move a complete success. I greatly appreciated your listening skills and the manner in which my requirements were met. The job was done in such a discreet and swift manner, almost without us even noticing. Thanks again for your professionalism. I am totally sincere in affirming I have never experienced such great service. After having moved more than 20 times during the course of my life, I can say your employees are the most humane, reliable and friendly. Complete or partial moving in Montreal for your short and long distance needs. Environmentally friendly, efficient and a really unique, enjoyable experience! Whether a residential or commercial move is required, choosing our company guarantees you an excellent service at a competitive price. To see us in action, check out our video capsule and take a look at our photo album. If you have too many items for a bike move, are moving too far from our warehouse or during the winter season, our movers can also move you using a truck.